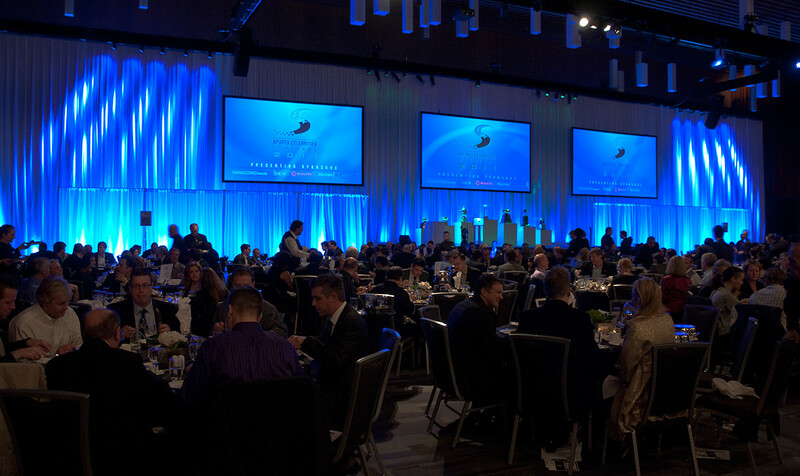 Pat Rekert of In Any Event Design produces the Sports Celebrities Festival each year for Special Olympics BC. 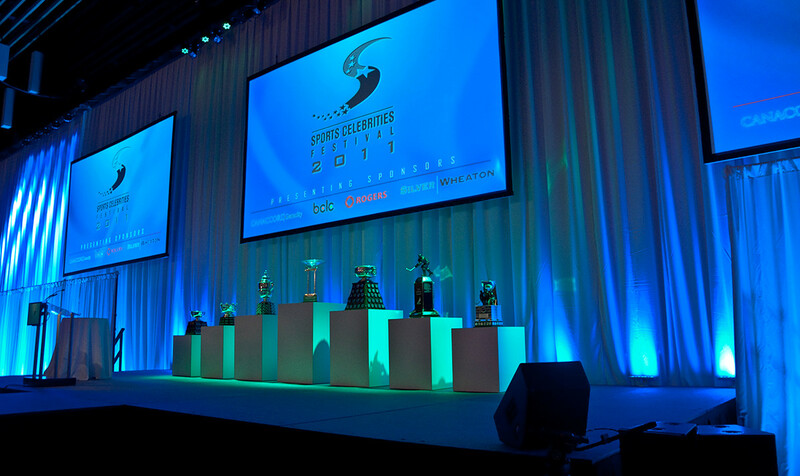 Pat trusts AV Strategies to provide full AV support for this prestigious event. 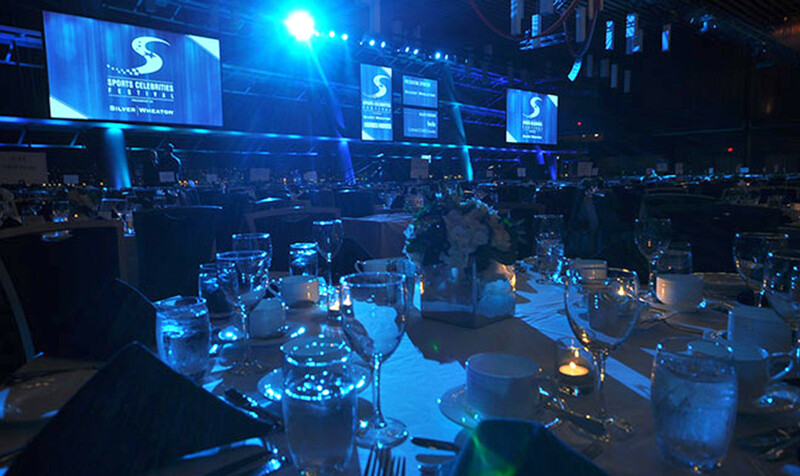 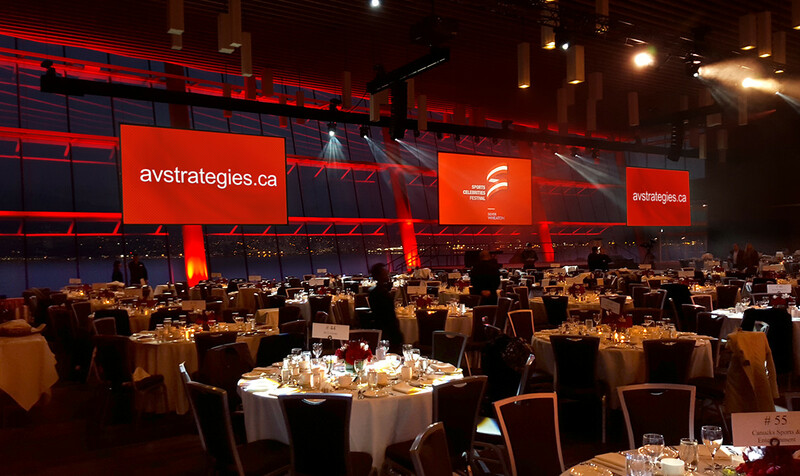 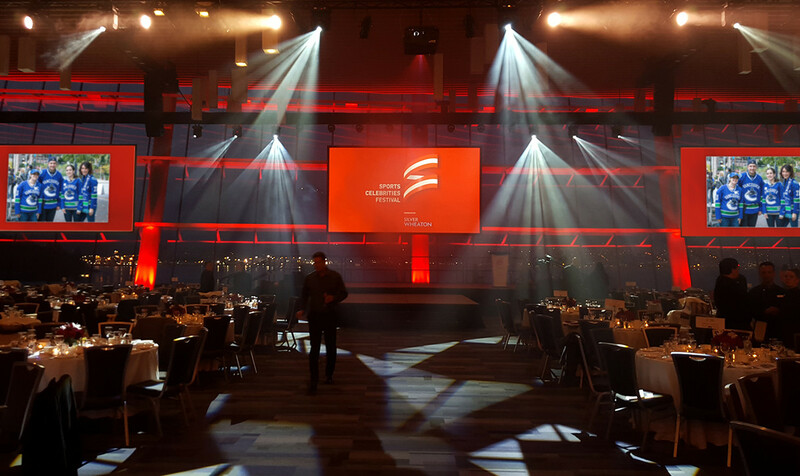 To make this event memorable, we have flown screens in front of the large windows at the Vancouver Convention Centre so the harbour view becomes the backdrop to the stage. 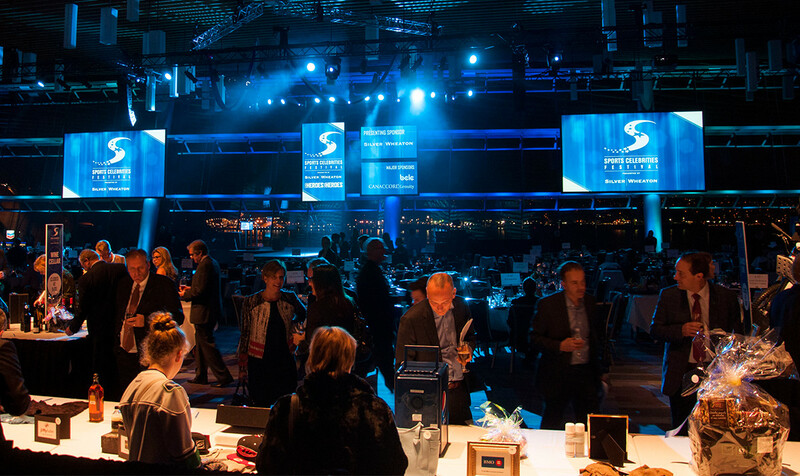 Using multiple screen surfaces enables us to project imagery across the front of the room and combined with the view creates a beautiful scenic backdrop and is a clean elegant solution.